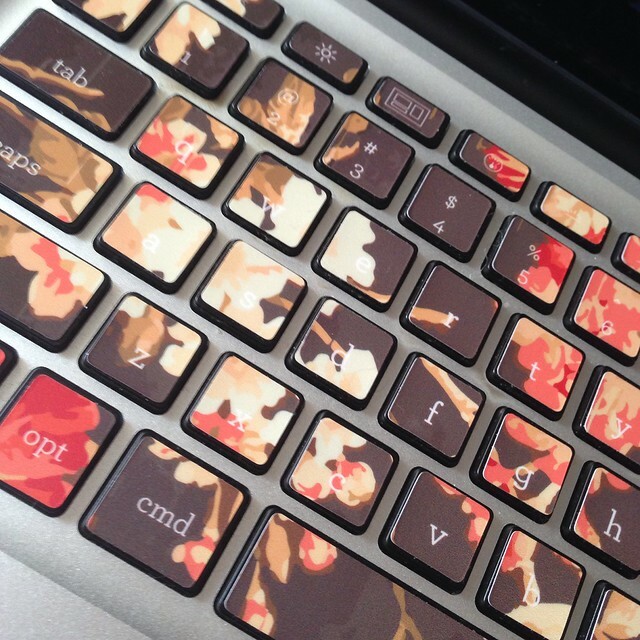 I was contacted by Kidecals to review any one of their products and I jumped at the opportunity once I saw that they have keycals — fancy decals to put on your keyboard (for Mac users, sorry PC folks). 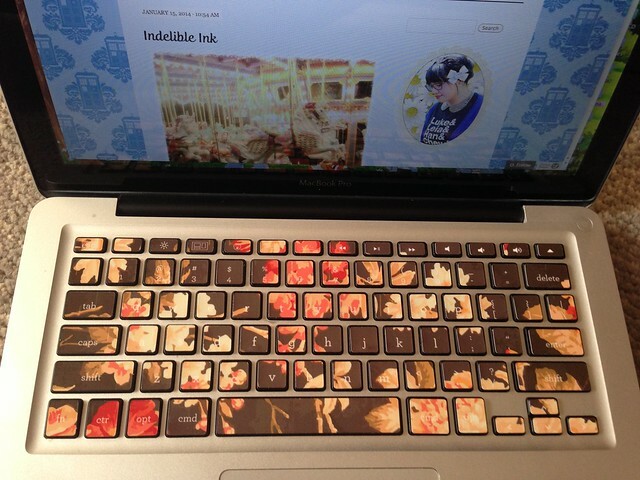 I’ve been eyeballing different kinds of decals similar to Kidecals’ on Etsy for my laptop since I’m growing tired of the plainness of the black ones that were manufactured onto mine — plus little oily marks were starting to show up from the natural oils from my fingertips. ¡No bueno! Peonies are easily in my top 5 favorite flowers. There’s no third reason, it just seemed odd to start listing things and only have two reasons. Applying them took about 5-10 minutes with no difficulty whatsoever. Typing with them doesn’t really feel any different, and they most definitely make my laptop look much cleaner than before! I only have a couple of gripes with them, and they’re not really that big of a deal. But the decals for the very top keys don’t say F1, F2, F3, etc. I don’t use those keys all that much, but when I do I like being able to see what’s what. And there are also a few keys where the letter is hard to make out since it’s white type on top of a white image. I don’t mind this bit a whole lot since I know which key is which and don’t really need to glance down to see what letter is where, but there might still be some out there that still need to take a looksie, so it might not be completely ideal for them. 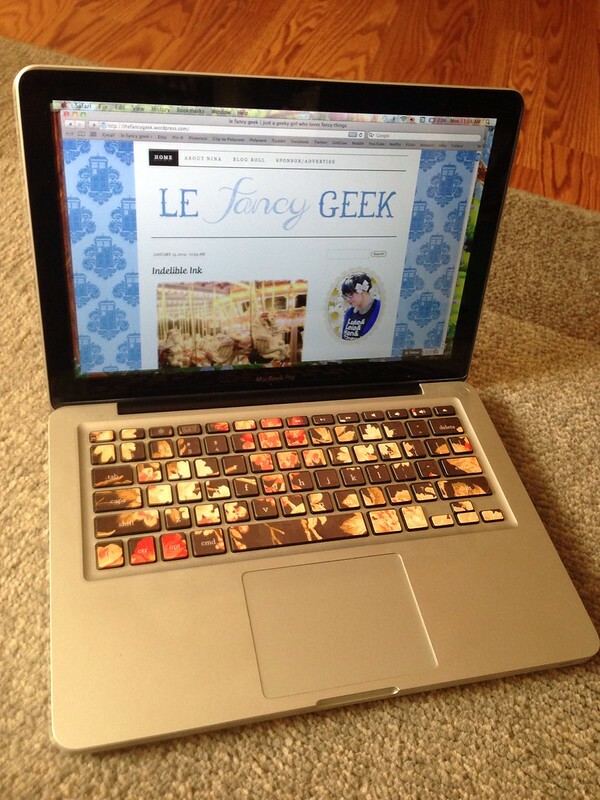 Be sure to check out their site for other fun things like name labels, wall decals, stickers (I also picked up one that says “I Speak Geek”), and tons of other things! FTC disclosure: Kidecals gave me a voucher in order to pick which product of theirs I wanted to review. All opinions stated are my own. These are perfect! Pretty and keep my keyboard clean? Yes please! This is very cool, I didn’t even know you could get keycals. This seems like a really good idea since I’m in an office with desktop computers with wireless keyboards. This would help not get them mixed up! Ooh, woodgrain keycals are mighty tempting. Sadly, my laptop isn’t a Mac.Oh well.